At least five different toxins have been found in soft drinks produced by two multinational beverage companies—PepsiCo and Coca Cola. A government-led study, commissioned by the Drugs Technical Advisory Board (DTAB), which comes under the Health Ministry, has revealed the presence of heavy metals like antimony, lead, chromium and cadmium along with the compound DEHP or Di(2-ethylhexyl) phthalate in samples of Pepsi, Coca Cola, Mountain Dew, Sprite and 7Up. All these samples were taken from the PET (polyethylene terephthalate) bottles. 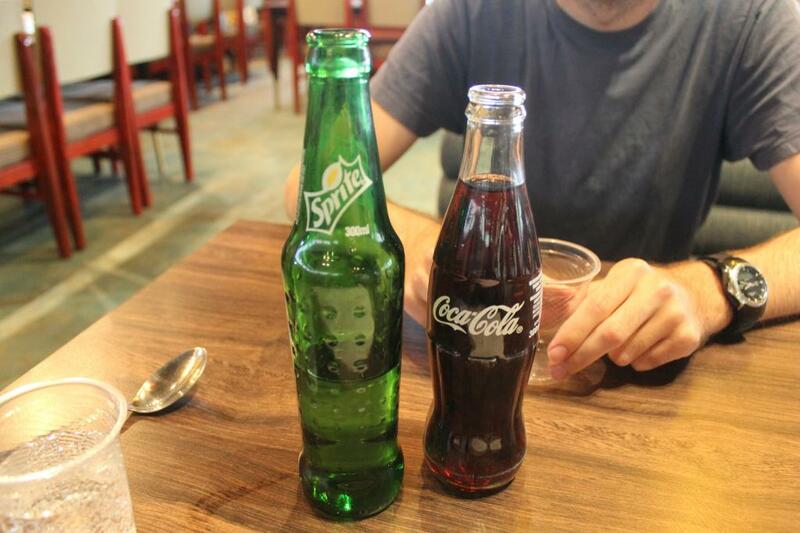 While Pepsi, Mountain Dew and 7Up are owned by Pepsico, Sprite is owned by Coca Cola. The results of the test, which was conducted in February-March 2016, also confirmed a significant increase in leaching with the rise in room temperature. For instance, at normal room temperature, the tests found 0.007 mg/L and 0.004 mg/L of lead in Sprite and 7Up respectively. When it was kept at 40 °C for 10 days, the lead increased to 0.009 mg/L and 0.006 mg/L respectively. Under the DTAB’s instructions, the Kolkata-based All India Institute of Hygiene and Public Health (AIIH&PH) conducted the study. The AIIH&PH had picked up four bottles (600 ml) each of the cold drink brands and handed over the samples to the Kolkata-based National Test House (NTH) to conduct the tests. According to reports, the test results were submitted by the AIIH&PH to Jagdish Prasad, Director General of Health Services and chairman of DTAB, a couple of days back. Asserting that the company hasn’t received any intimation or the test reports, one of the spokespersons of PepsiCo India said that all its products conform to Food Safety and Standards Regulations. “We would like to emphatically reiterate that our products comply with the permissible limits for heavy metals as laid down by these regulations,” he said. While Pepsi leads in antimony, lead, and DEHP contents, Coca Cola has the highest level of Chromium and Mountain Dew has the highest level of Cadmium. How harmful are these metals? Cadmium, on the other hand, affects the kidneys, skeletal system and respiratory system. It is also considered a human carcinogen. Antimony, chromium and DEHP are known to cause serious side effects on the body. These beverages cause deaths to about 200,000 people every year due to diabetes, cardiovascular disease and cancers. Last year, when AIIH&PH tested pharmaceutical preparations, it was found that antimony, lead, chromium and DEHP had leached into them. While the Bhan Committee found various faults with the institute’s test results and asserted that there was not enough evidence of PET bottles contaminating medicines inside them, the DTAB did not find any merit in the committee’s claims. It also agreed with the test results and recommendations of AIIH&PH. The DTAB also recommended that the Health Ministry should issue draft rules prohibiting PET bottle packaging of medicines consumed by children, women and the elderly. No action has been taken so far. There are neither any permissible limits for heavy metals in cold drinks, nor any standards in India for safe plastic packaging, unlike in countries like the US. That makes it convenient for beverage companies to follow dual standards. While the CSE study few years back found high levels of toxic pesticides and insecticides in soft drinks that can cause cancer, the soft drink brands sold in the US didn’t contain any.